Summer or Winter Tires vs. All Season Tires: Which tires would be the best for my car? This is a question we get quite often at DJ Foreign Auto. It may come as a surprise to you, but we believe it is beneficial to get a pair of summer tires and winter tires. In the following blog, we at DJ Foreign Auto will provide you with the pros and cons of summer tires, including handling, temperature ranges and how summer tires manage heat. We also cover the appropriate weather conditions for each type of tire. What Makes a Summer Tire a Summer Tire? Summer tires, also known as performance tires, are called that for a reason. 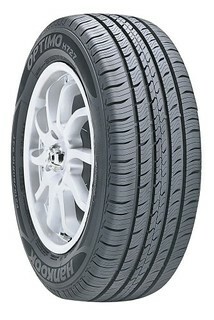 Performance tires are invented to produce excellent dry and wet traction along with precise handling. They are intended to be used during warm summer months, or all year in regions that don’t get a true winter (unlike us lucky folk up north). Summer tires are optimized for excellent road grip whether it is baking hot, slightly damp or raining heavily on the road. They are made from a tread compound (the mix of rubber and fillers that make up the tread) containing sticky additives for road grip in wet conditions. However, this tread blend also provides enough stiffness, so that tires hold up and retain their shape when the heat is on. The stiffness keeps rolling resistance to a minimum on hot pavement. Tread patterns typically feature shallower, straighter grooves than what you see on all-season tires. The tread patterns contain solid, continuous ribs, for the rubber to always be in contact with the road. This tread pattern creates more control through cornering, braking, and acceleration. Since performance tires regularly have asymmetrical or unidirectional tread designs, tire rotation options may be restricted. You may only be able to rotate front tires with each other versus crisscrossing the front and back tires to even out tread wear. Although it may come as news to many that all-season tires are outperformed by summer tires when it comes to wet and dry traction, the following fact does not surprise; Performance tires do not provide any winter traction. They get incredibly rigid in freezing temperatures and are not the safest choice for any snowy or icy driving conditions. They are made with a compound that stays resilient even at temperatures slightly above freezing, to maintain road grip. All-season tread patterns have deeper grooves that feature more voids and variations which help with traction for the occasional travel in snow. 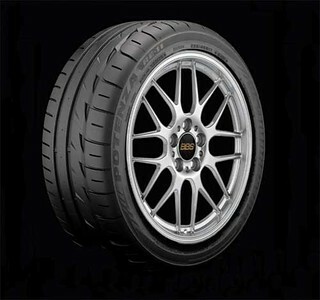 The designs usually are symmetrical, leaving more rotation options to even out tread wear and extend the tire's mileage. They are like a cross between winter and summer tires, made to handle a broad variety of weather and road conditions favorably while also getting satisfying tread life. 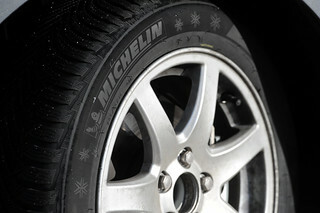 They do not substitute for actual winter tires, which are a necessity for steady driving on severe snow, sleet, and ice. If you are at a loss choosing between performance and all-season tires, DJ Foreign Auto is here to give a quick comparison. Summer or Winter Tires vs. All Season Tires: Which Tire Should you choose? With the weather changing drastically between seasons in Minnesota, we at DJ Foreign Auto Care recommend both a good pair of summer and winter tires. Summer/Performance tires are exceptionally well-suited to urban areas with warm climates that occasionally get rain. This is because summer tires are better at limiting hydroplaning at freeway speeds than all-season tires. Summer tires help provide excellent performance on both wet and dry roads. Consider summer tires if you enjoy driving with precision and live in a place where it is warm regularly. All-season tires are the best choice when the weather is not predictable. When you may encounter freezing rain or light snow conditions in fall or spring, it is better to go with all-season tires. However, if you know you will have to drive through snow or ice on a seasonal basis, you may want to consider winter tires for the winter months. Winter tires are designed to enhance grip in even the most severe winter weather conditions including slush, snow, freezing rain and ice. Since it gets below freezing in our lovely state of Minnesota, we at DJ Foreign Auto Care recommend winter tires. Remember, winter tires are not intended for all-seasons. They should be replaced with either summer or all-season tires once the weather warms up, swap them out in November and March.